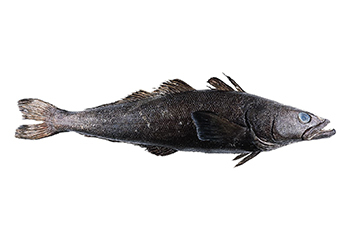 Patagonian toothfish (also known as Chilean seabass) were first targeted in the 1980’s, and expansion of the legal fishery occurred quickly with 40,000 tons landed in 1992, up from 5000 tons in 1983. Illegal fishing is thought to have begun in the 1990’s and persists today despite management measures. Patagonian toothfish is imported to the United States for domestic consumption and re-exportation. The stock status of Prince Edward and Marion Island fisheries is of high concern due to past exploitation and depletion from illegal fishing. In the Crozet Islands, stock status is unknown but of high concern because the average size of fish caught has decreased significantly over time, implying that individuals are not reaching maturity before being caught. Stocks from Chile are overfished and at high risk of depletion. Only stocks from the Kerguelen Islands are of low concern. Patagonian toothfish are managed by individual states when the fishery occurs inside exclusive economic zones, as well as by the Convention on the Conservation of Marine Living Resources (CCAMLR), and sometimes by both if boundaries overlap. The fisheries have monitoring measures in place, and regularly collect fishery dependent and independent data. 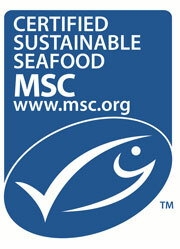 With the exception of the Kerguelen fishery (moderatly effective), management is poor. Chile, Prince Edward and Marion Islands, and Crozet Islands have been ineffective in recovering overfished stocks. In addition, Chile has no bycatch limits in place. The use of bottom longlines causes the bycatch of endangered or threatened species such as several species of skate, petrel, seabirds, marine mammals, and corals and benthic habitats. Although bycatch of most species represents less than 5% of the catch, the vulnerability of the species caught is of serious concern. Patagonian toothfish are caught using bottom longlines which can cause moderate amounts of damage to habitat. Although research is being done on the role of Patagonian toothfish in the ecosystem in Kerguelen and Crozet Islands, this research is not used to develop management measures. In Chile, very little ecosystem-based research is taking place.